You may already know and love the Dodo Pad and Dodo Pad products (if you don’t then here is a quick introduction) but we now have a whole section on the website totally ‘dodedicated’ to stuff that Lord Dodo LOVES… which incidentally make fine Christmas Gifts but are not necessarily a diary-calendar-stationery-sort-of-thing. You can read the full details here as to how we started this little online shopping (ad)venture! If the answer is yes to all or most of the above and it doesn’t break the bank (prices start at £1.99 for a clever set of page markers) and we love it then it gets a spot in Lord Dodo LOVES…Click on the pics to go straight to the spot in the shop where you will find them. No messing about. Teleport yourself there. Now. This brilliant idea (providing the potential to doodle and draw and then start over with a blank canvas) comes as iPhone, iPad and iPad Mini cases, aprons (two styles – notepaper design shown here), placemats and even reusable canvas bunting! From £10.95 and nothing over £20. Well, it seems that the abundance of snow that fell over the recent festive season allowed Lord Dodo’s esteemed friends to express their adoration and dodedication to his Lordship in new and innovative ways. 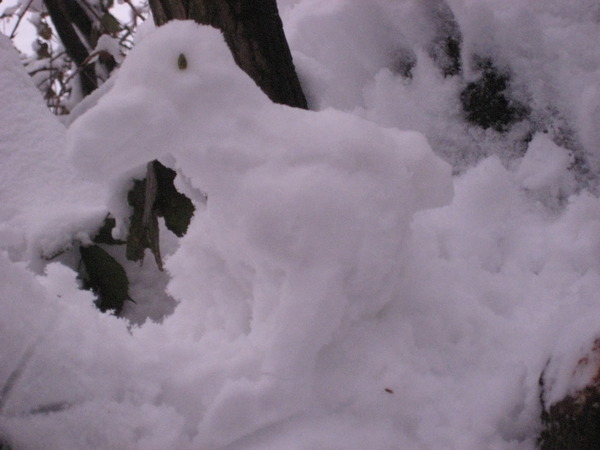 After Tweeting the challenge @lord_dodo for people to create a snow dodo instead of the usual humdrum snow man, we were completely bowled over by two acts of creative genius! You can see the first snow sculpture depicted in the photograph here and the second can be viewed in a video format by clicking here. Lord Dodo believes that the way the Dodo Pad encourages doodling and creative expression, as well as unheard of levels of organisation, may have contributed to the creation of these glorious works of art which is of course what he always believed would happen! We got very excited about Christmas here at Dodo Towers now and you should have seen the old place – it looked just lovely with all the lights and tinsel and our Christmas tree at the bottom of the grand staircase was just exquisite! We kept it up for a few days longer than usual so you could take a peek. Please do sign the Visitors Book if you if you pay a visit. Lord Dodo and I would like to wish you a dodelightfully organised and less chaotic New Year in 2011!